The Indian Premier League is back. The BCCI has released the schedule for the first two weeks of IPL 2019 covering the first 17 matches of the tournament. The rest of the schedule will be released in due course once the election dates are announced. M.S. Dhoni and Virat Kohli are up against each other in the first match of this year’s IPL as defending champion CSK meet RCB in Chennai on 23rd March’ 2019. For some of the fans, the IPL fever is so gripping that they don’t want to wait too long for the Australian ODI series to get over to set the ball rolling for the annual mega event. In IPL history, CSK has always been the team to beat. 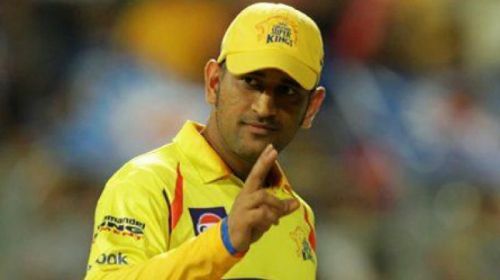 Led by Dhoni, CSK is the most popular and consistently successful team in IPL history. They are also the defending champions this time around. As such CSK are a formidable team to beat any day. In IPL 2019 there are 5 additional factors which would make CSK more formidable this year compared to last year. Let us have a look at those additional factors which would make CSK the favorites to win this year’s IPL title. The only major change that CSK made in their squad in IPL auction 2019 is the selection of Mohit Sharma in place of Mark Wood. Mohit Sharma, the Indian fast bowler, had earlier played for CSK in 47 matches and had taken 57 wickets at an economy rate of 7.80. He was more successful for CSK in his first two seasons in 2013 and 2014 taking 20 and 23 wickets respectively. His performances in the first 3 years of IPL had earned him a place in the Indian ODI and T20I teams. After spending his last 3 seasons with Kings XI Punjab, Mohit Sharma is back where he belongs. Mohit is a useful first change bowler and an accurate death bowler. His clever change of pace and his camouflaged back of the hand deliveries should make him a difficult customer to handle in T20 cricket. With the likely absence of Lungi Ngidi, CSK would be looking forward to Mohit Sharma to bowl at the death along with Bravo. He could become an asset to CSK in IPL 2019 with Deepak Chahar and Shardul Thakur as his partners.